Our last stay for the rest of our trip was at the Icelandic Apartments and it was such a cute place! From the teal walls to the white accents, it livened up the place and create a modern feel. And guess what? It was snowing outside! 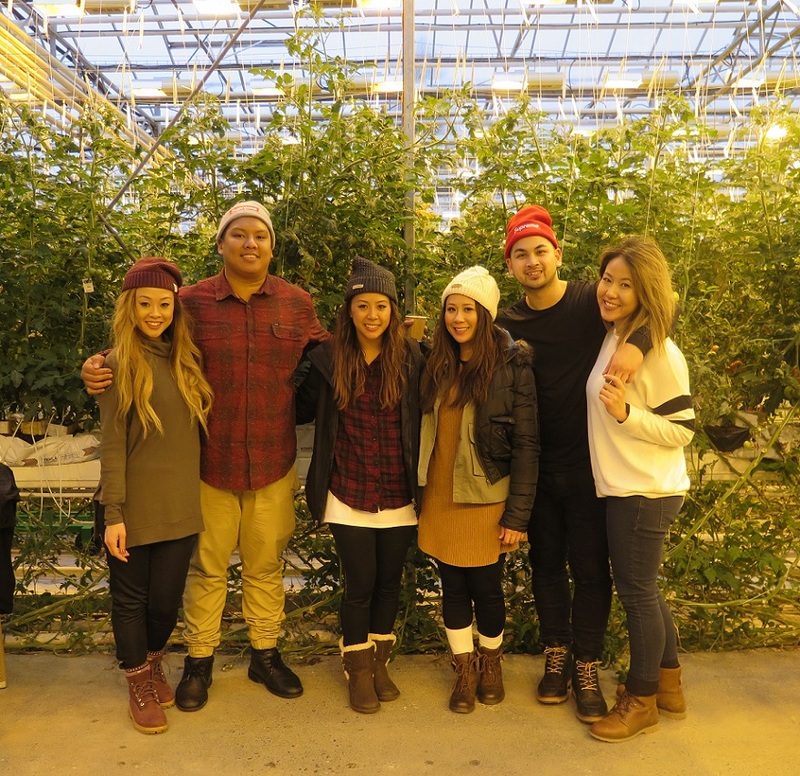 After putting on multiple layers of clothing, we headed out to the Fridheimar Farm (more info here) where we got to dine inside a tomato farm. 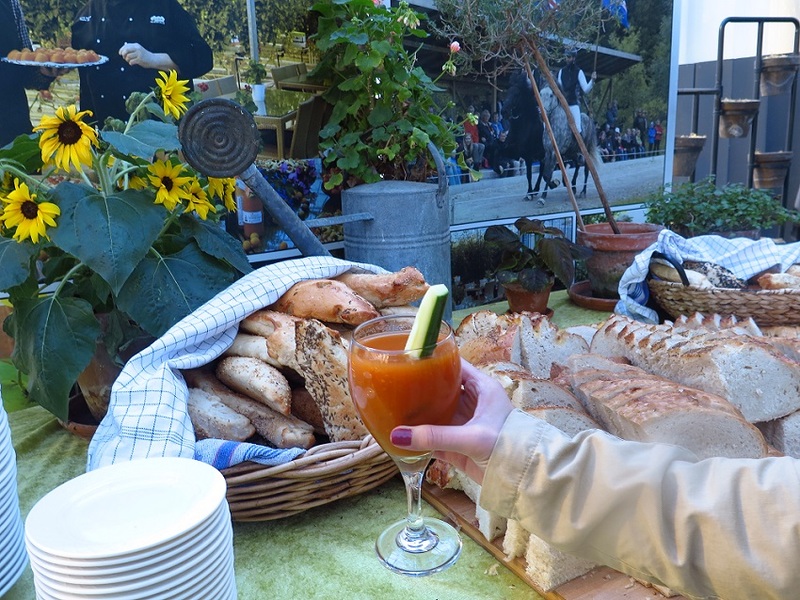 You can try their several of their housemade dishes using their tomato grown produce including tomato soup, pesto pasta, tortilla, Bloody Mary, and lptomato infused desserts. Talk about farm to table freshness! The pesto ravioli pasta was unanimously all of our favorites! YUMS. TIP: The wait for a table can be long but you can order food to-go and walk around while eating. Next we went to see the Gulfoss Waterfall. This view from the top is seriously breathtaking! Just so beautiful you have to take a moment to breathe in and absorb all the beauty around you. We loved it! 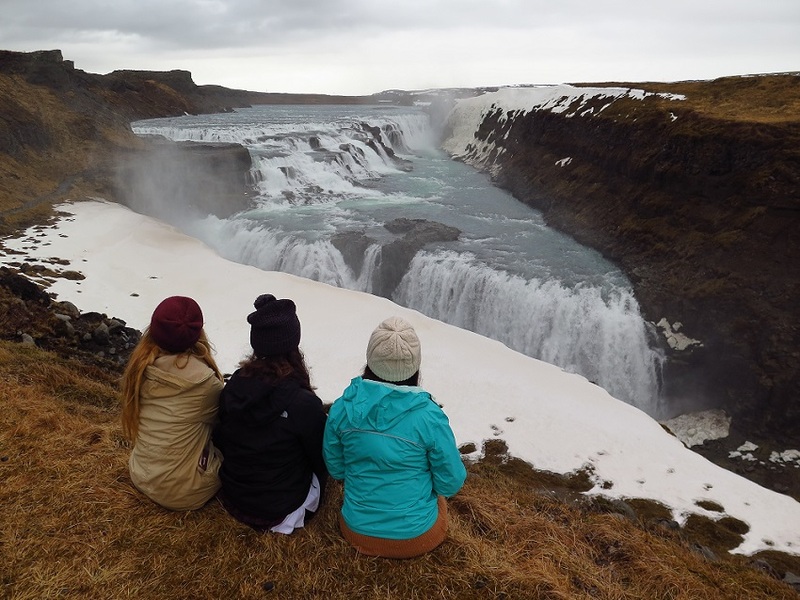 TIP: During the summer, when the ice melts, you can take the hike trail at Gulfoss Waterfall. 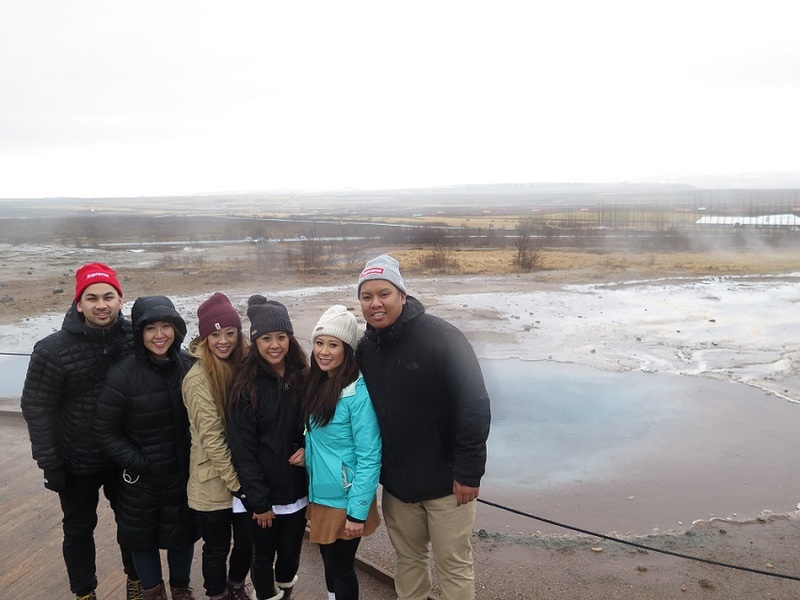 Then we headed out to the Geysir. It was raining now and, luckily, the walk wasn't too bad. The last part of the Golden Circle is the National Museum which we didn't go too because we ran out of time...and we wanted to go to the market before it closed (lol). TIP: Pack a waterproof jacket, just in case since there's water being sprayed. We were lucky to be able to pick up more items at the local market (it was still open - phew!) for dinner and snacks. Lots and lots of snacks. 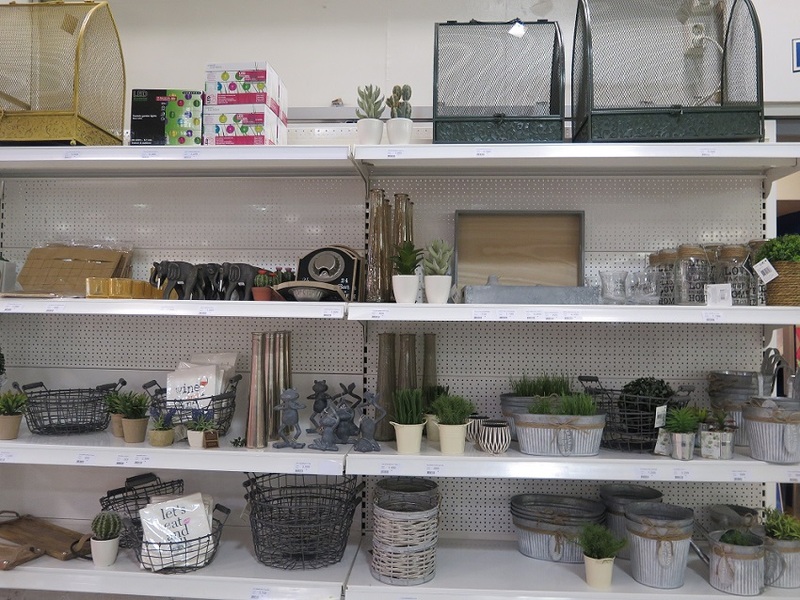 Of course, I got distracted at the plants and home decor section (hehe). After we settled back home again, my little sisteroos, made us Japanese curry. Thanks Kaf and Sus for the delicious homecooked meal! That's probably one of the things I liked about the apartment because it included a little kitchen with a fridge, stove, and microwave so you can pretty much make anything. Loved that!